Snakes are carnivorous, elongated, legless-bodied animals that belong in the reptile class. Like all reptiles, snakes are coldblooded thus they love to stay in warmer climates. Although they can survive in colder places, they cannot survive in places that are frozen all year. Snakes have scales that cover the entirety of their bodies. Snakes use these scales to be able to move around, and scales enable them to move along rough and hot surfaces such as rocks and grass. 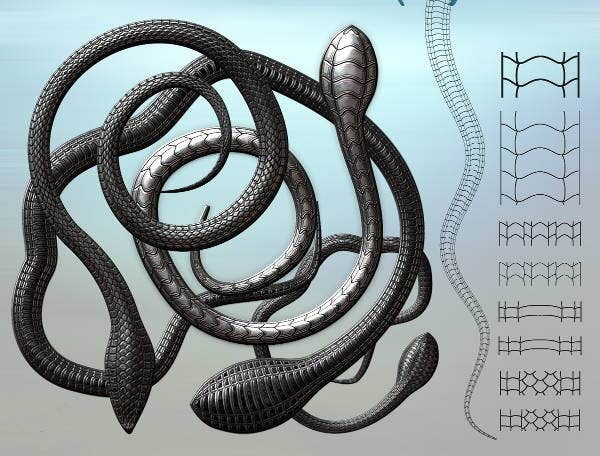 A snake’s jaws are not connected, unlike that of the humans. Their jaws are connected to their back, which allows them to eat animals five times bigger than the size of their own mouth. With the way they sliver their way through grass unnoticed—and the fact that most species bite—they are feared by many. Snakes can also be marvelous thing to adore, and some love these flexible beings. 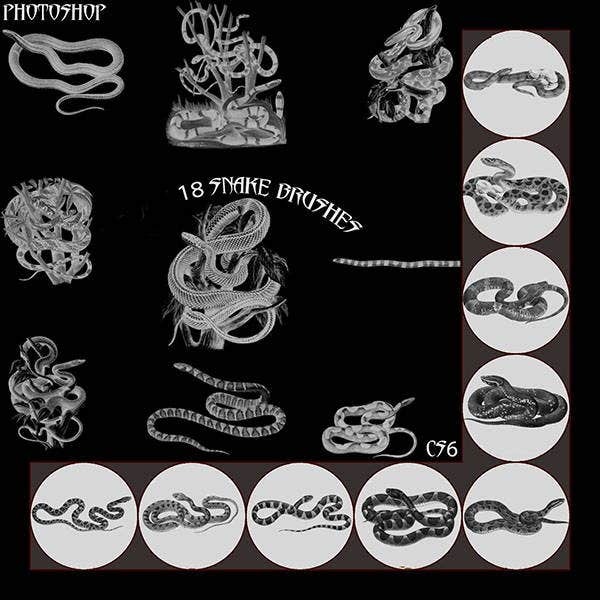 Here, we have provided some snake Photoshop Brushes to put your love for these creatures in art form. You better watch out when in the presence of snakes. They live mostly in warmer environments like deserts, rain forests, and lakes—you name it. There are over two thousand species of snakes in the world. Some are poisonous, while some are not. Poisonous snakes include the king cobra, copperhead, and, usually found in Africa, the black mamba. 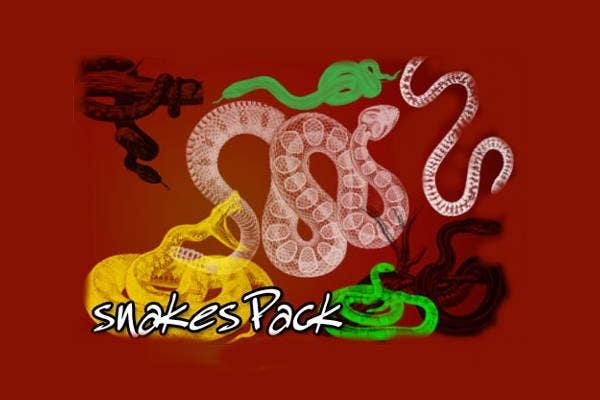 Nonpoisonous species, however, include the python, garter snake, and the green anaconda. 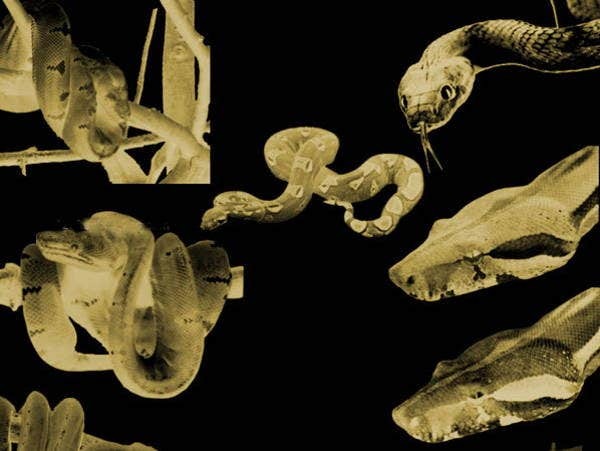 Snakes have also been a part of cultures’ distinct mythologies for so long. They have been associated with some of the oldest rituals such as being the symbol of fertility and part of snake dances for the Hopi people in North America. Some cultures also see snakes as a representation of guardianship. This could be connected to the defense mechanism of snakes where, when alarmed, they hold their ground to oppose larger threats. More often than not, snakes are also associated with evil due to its silent, sneaky nature. Sometimes shady people are even seen as snakes. See also some of our Photoshop Tattoo Brushes and Animal Brushes from our website to add to your collection. 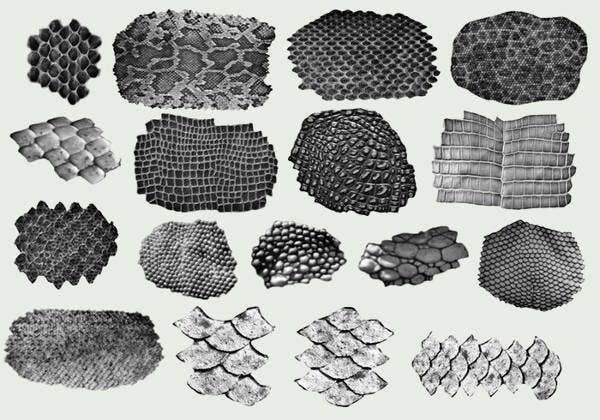 Snake Skin. 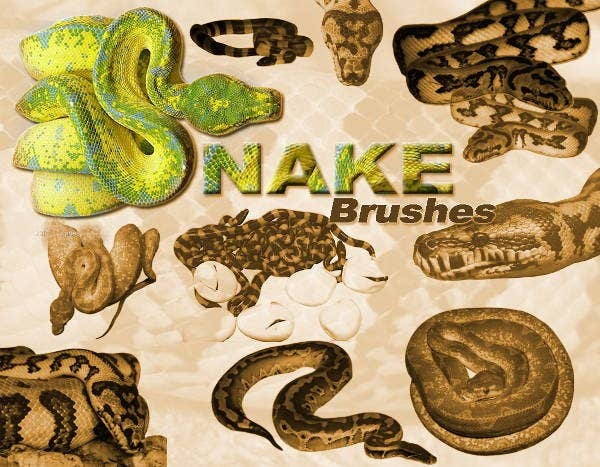 This brush gives out the details that make snake skin beautiful. 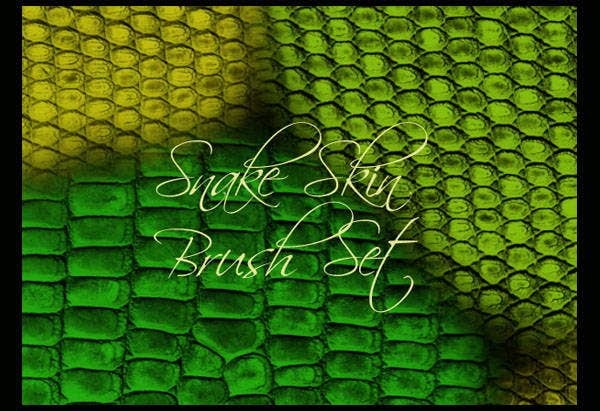 If you are a fan of designer bags with snake skin design, this is the brush for you. Halloween Snake. This design is perfect for the Halloween holiday or even horror-themed events such as horror movie nights, costume parties, or even slumber parties. These creepy crawlies can be scary, and it is the perfect time for scaring. Black Snake. 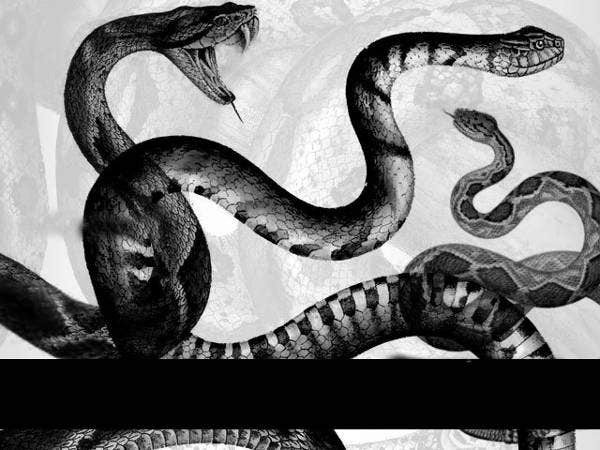 This monochrome brush is perfect for emphasizing the beauty that makes the snake attractive. Why Use Our Brush Designs? They are artistic. We are offer these creative and one-of-a-kind brushes for you to use on your projects. They are accessible. This website offers these brushes anytime you want and could be downloaded straight to your devices. They are efficient. You could download and use them immediately on your own masterpieces right away. They offer value for your money. Although some of the templates on our website are offered for free, some may require a modest royalty fee since they were designed by professional, talented graphic artists and designers, which is a win-win for you. And by licensing these brushes, you get to fully experience the features these brushes have on your photo-editing software of choice. 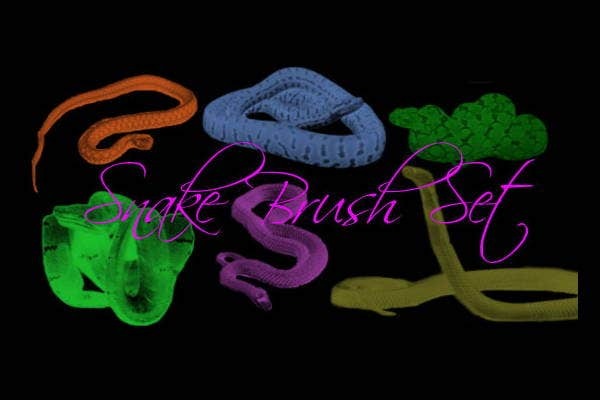 So try our Snake Brushes today and let your imagination run wild. 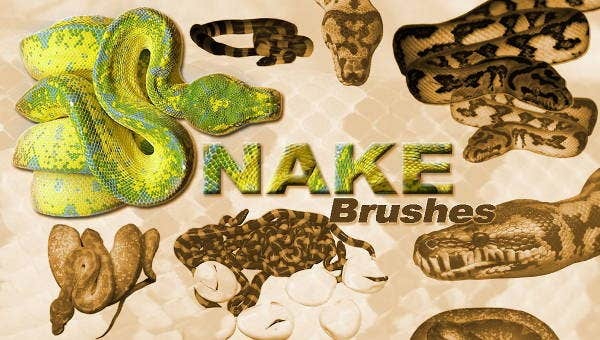 Check out more of these Photoshop Art Brushes from our website to add to your collection once you add these snake brushes to your arsenal.